Meet Me In The Morning: How Do You Pronounce Caramel? Warning: this website is kind of addicting. 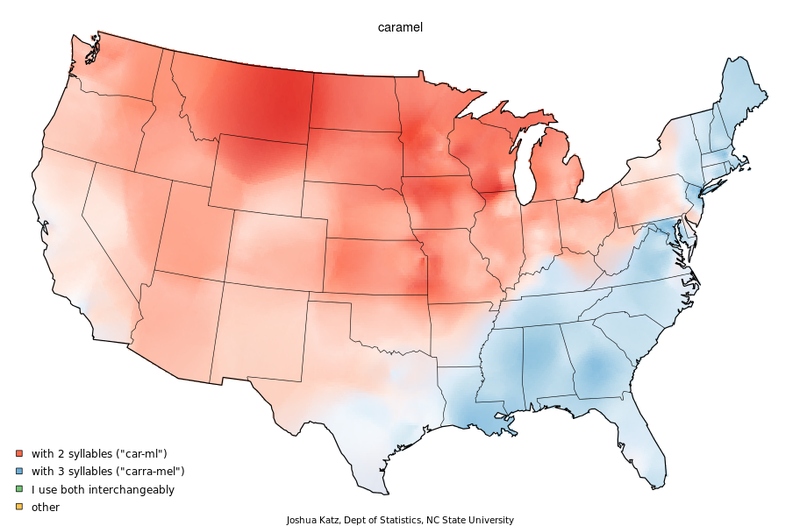 It shows regional variations of how words are pronounced. This is the ultimate you say tomato scenario. Have fun! this is awesome. but what about remote? channel changer? clicker?